It’s super easy to become a Dekoni Audio Earpadz dealer and our virtual doors are always open. 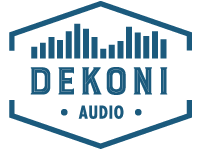 Contact us below for pricing and dealer paperwork or reach out to your local Dekoni Audio Representative listed below. We are also currently interviewing other reps around the country. If you’re a rep firm interested in representing the fastest growing brand in headphones today you can reach us at the email above.